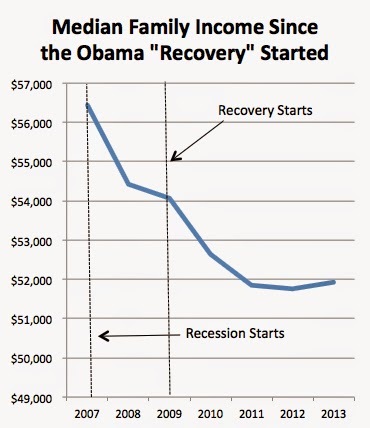 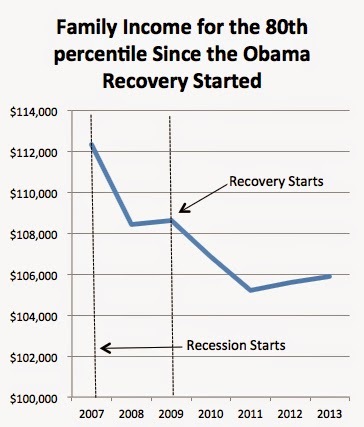 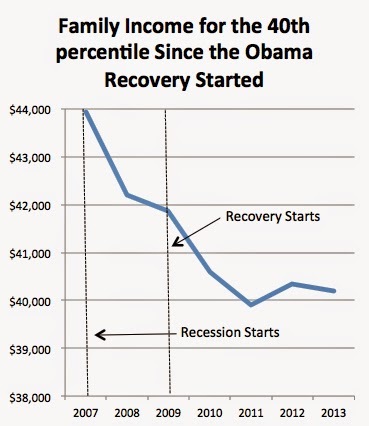 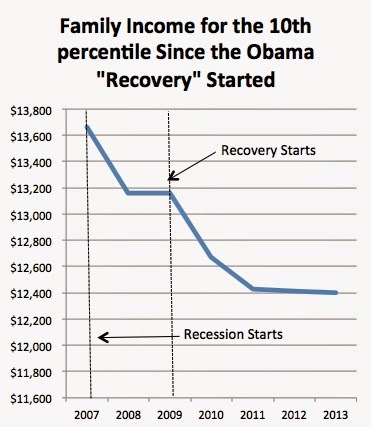 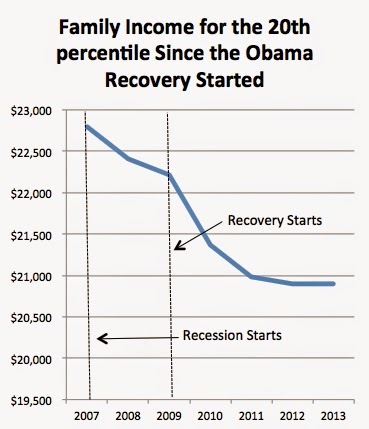 Family income for the poorest families has fallen continually during the Obama "recovery." 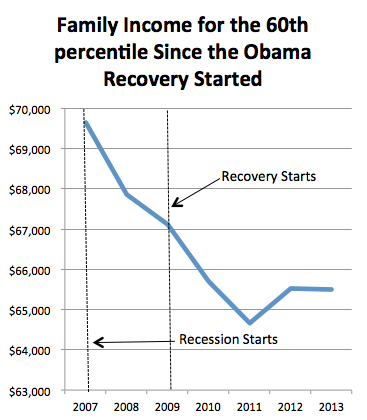 Indeed, the drop in family income for those in the 10th and 20th percentiles is larger during the recovery than during the recession. 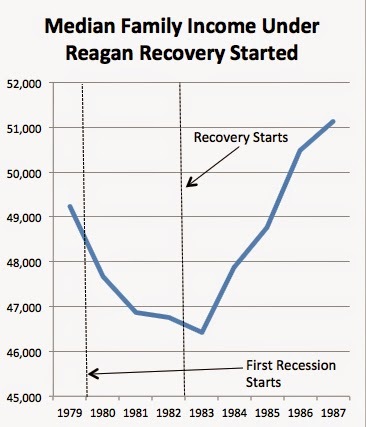 The drop in family income for the 40th percentile and the median is about as large for the recovery as it was during the recession. 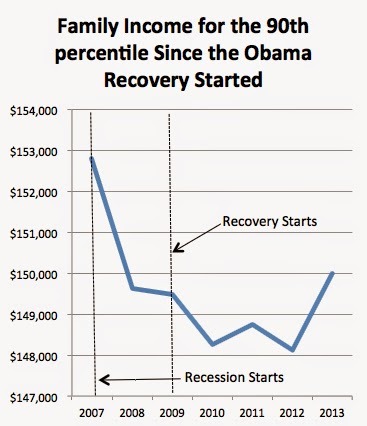 Only the wealthiest families those in the top 10 percent have seen their incomes go up, but even then their incomes are lower than before the recession started. 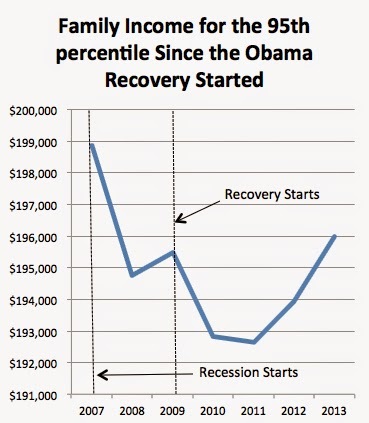 The Current Population Survey data is available here.